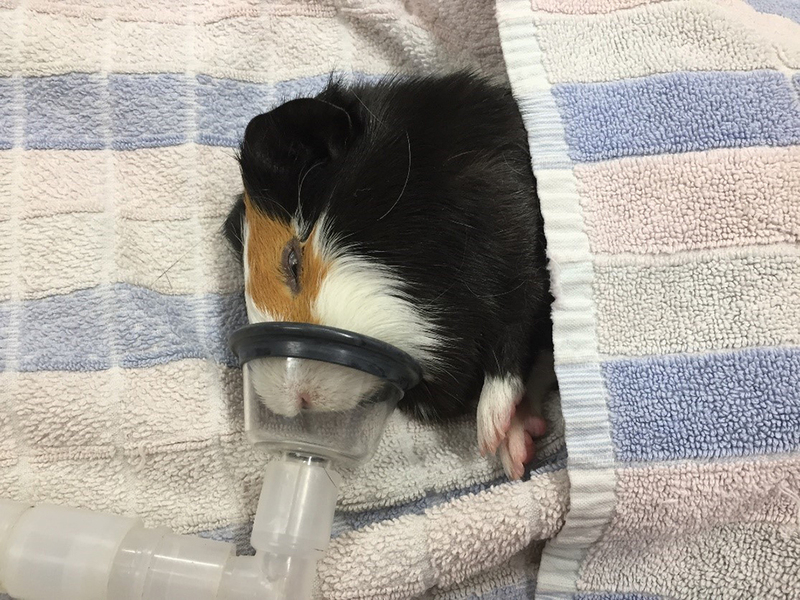 Meet Rupert, a gorgeous 3 year 8 month old guinea pig and a recent patient at Casey and Cranbourne Veterinary Hospital. 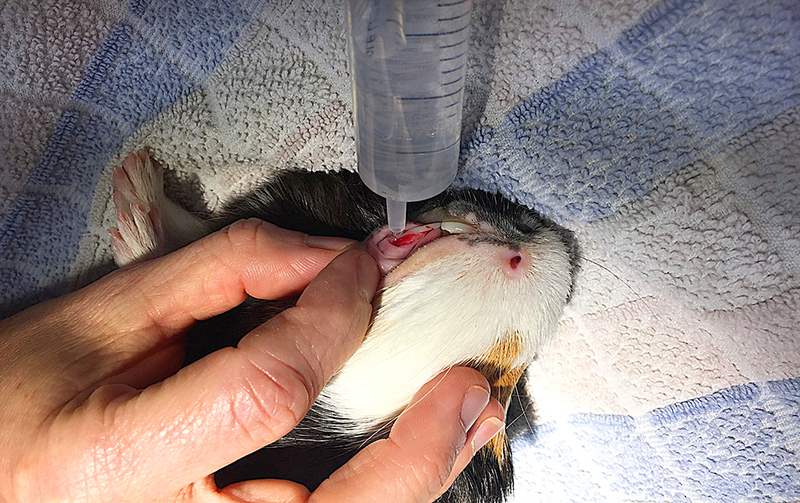 Rupert presented to us with a loose, painful and infected left lower incisor tooth and was booked with Clinical Director, Dr. Leanne Versteege. 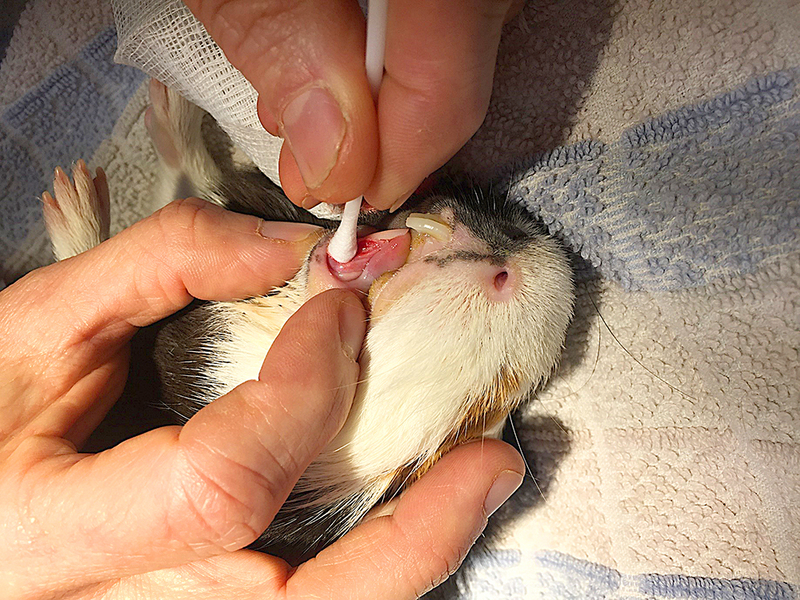 Dr. Leanne has a particular interest in pocket pets and has a wide range of rabbit and guinea pig specific dental burrs and extractors capable of dealing with any routine or complex dental procedure in these delicate pocket pets. 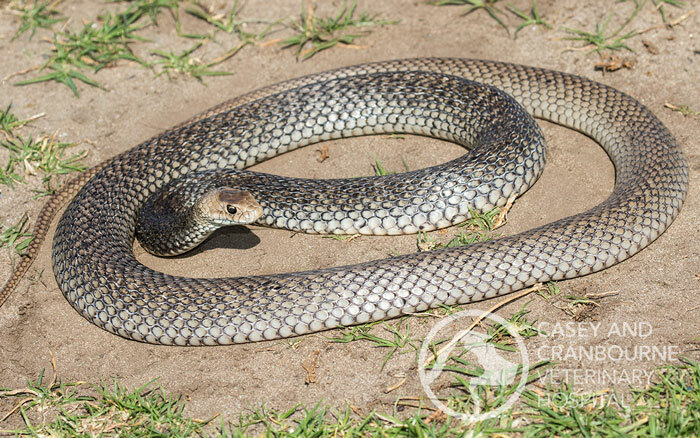 The following images were expertly taken by Amy, a work place student who is studying at LaTrobe University. Rabbits and guinea pigs can regrow their teeth if the whole of the germinal root isn’t removed. In Rupert’s case, the tooth was rotten right down to the germinal root so is likely it will not regrow. With rabbits and guinea pigs, they use corresponding upper and lower teeth to wear each other down. 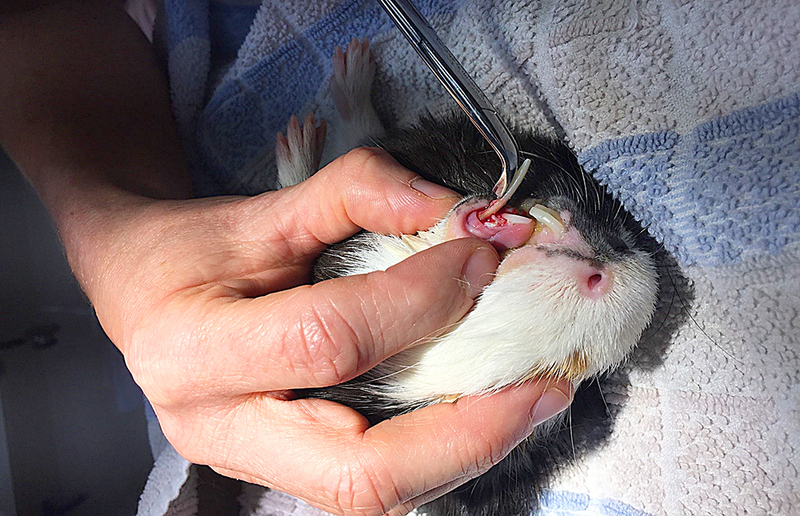 With Rupert, if the left lower incisor doesn’t regrow, it means the left upper incisor will need to be extracted or regularly burred down by a vet. 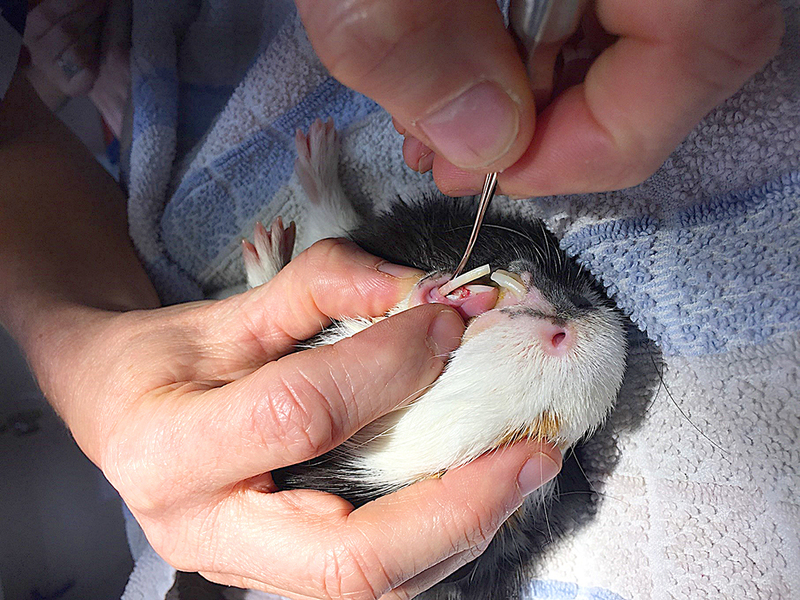 Whilst under anaesthetic, Dr. Leanne was keen to assess the rest of Rupert’s mouth, to determine the condition of his back teeth (molars). 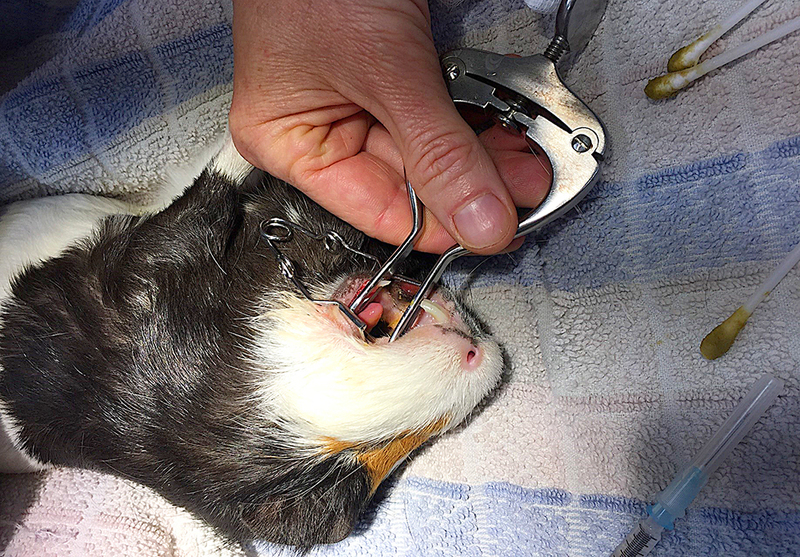 Special tools are used for this procedure as rabbits and guinea pigs mouths’ do not open wide enough to look at the back teeth. Dr. Leanne was pleased to report the rest of Rupert’s mouth was in great condition. The procedure including recovery took no more than 15 minutes. Dental care is an important preventative health care measure for your pets. 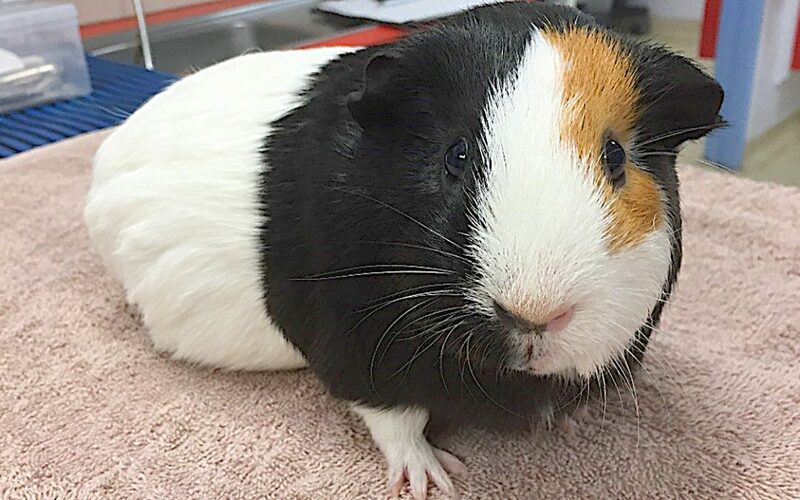 Rabbits and guinea pigs are commonly seen with dental problems due to malocclusion. This can result in sharp spurs on the back teeth that can cut the tongue or inside the cheek resulting in drooling and inappetance. 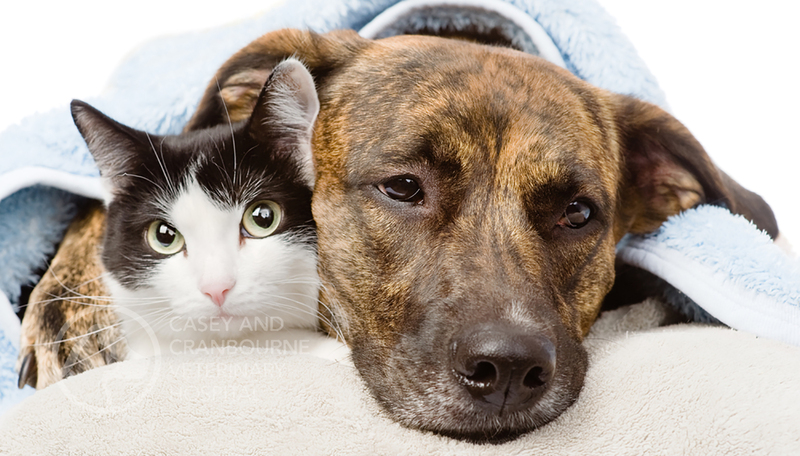 Contact Casey and Cranbourne Veterinary Hospital to discuss the best dental care for your animal. 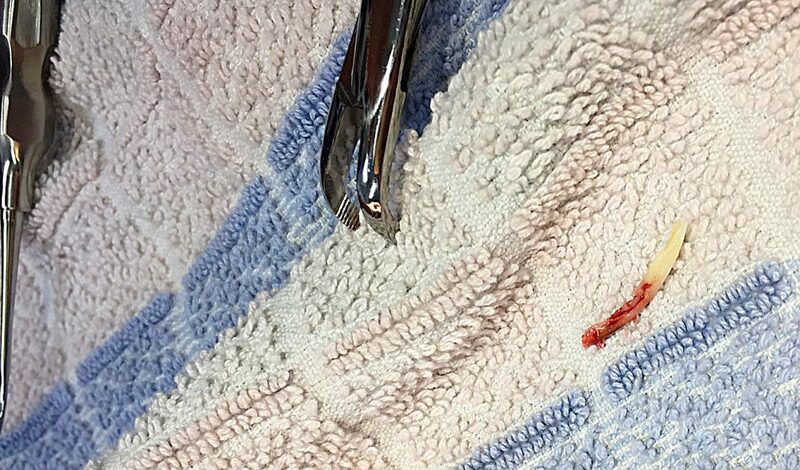 Tooth Removed – How much would the tooth fairy give you for this tooth?